One of the biggest events in Ireland's national calendar, the St. Patrick’s Festival organises and co-ordinates a host of events over the four day festival including the parade itself. Since 2011, I’ve designed and produced the St. Patrick’s Festival website for each year. The site functions as an information portal for events, as well as a marketing tool and co-ordinating point for volunteer recruitment, band applicants and so on during the rest of the year. Every year, the site receives a huge increase in traffic leading up to the festival. Previously to 2011, this surge led to slow site loading times and sometimes the site went offline for short periods. This was identified as a problem, so part of the solution included a content management system which is lightweight and incorporates a caching solution. Scalable hosting was also implemented to allow the festival to increase and decrease bandwidth as needed. 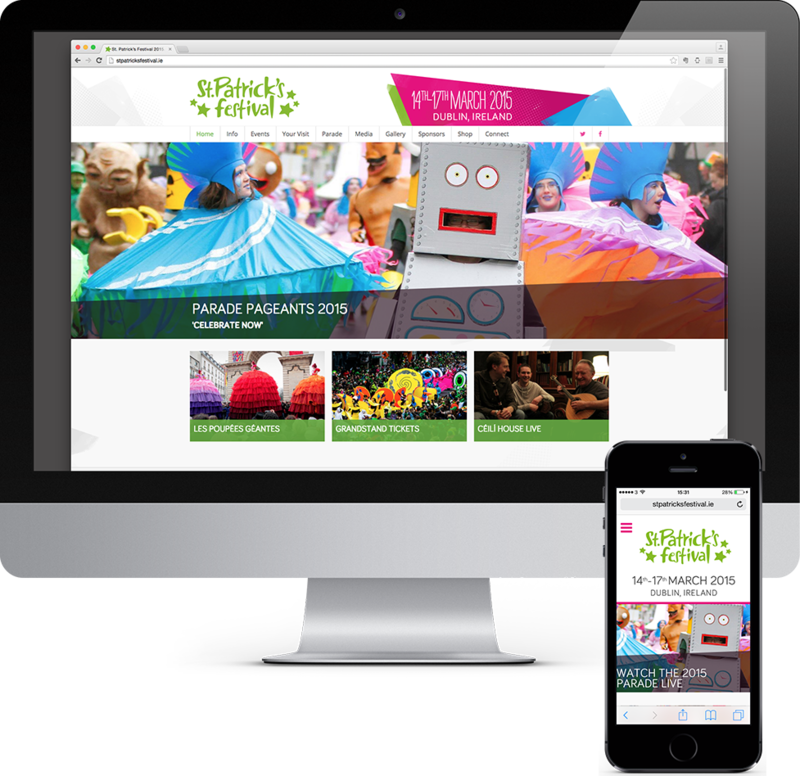 The site is responsive and built around the content management system, allowing the festival to change content and structure as the focus of the site changes over the year. Every year, the Festival theme also changes, so the site is developed with this in mind. Visual elements such as headers and background graphics are kept flexible, so as to be easily interchangeable each year.